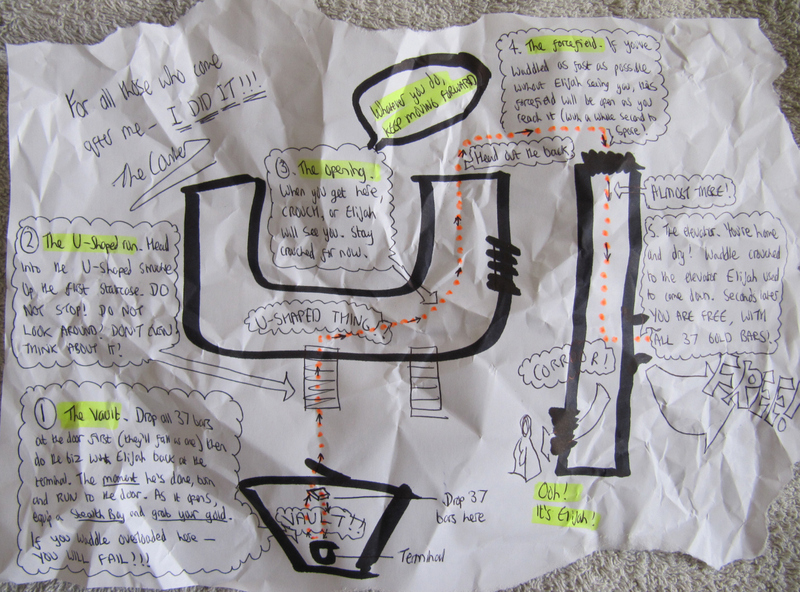 Extreme geekery day: fresh from my Fallout New Vegas Tour, a mysterious stranger stopped me in the desert, and gave me this crumpled sheet of paper containing scribbled instructions for escaping the Sierra Madre Casino with all 37 gold bars from the vault. Yes, it’s doable, and you can do it without getting involved with Elijah at all (in fact, looking around for him while you follow these instructions results in you losing.) Follow the instructions from bottom left clockwise. Time’s tight – but even overloaded you can make it through the forcefield in those few critical seconds it’s down, with a second to spare. 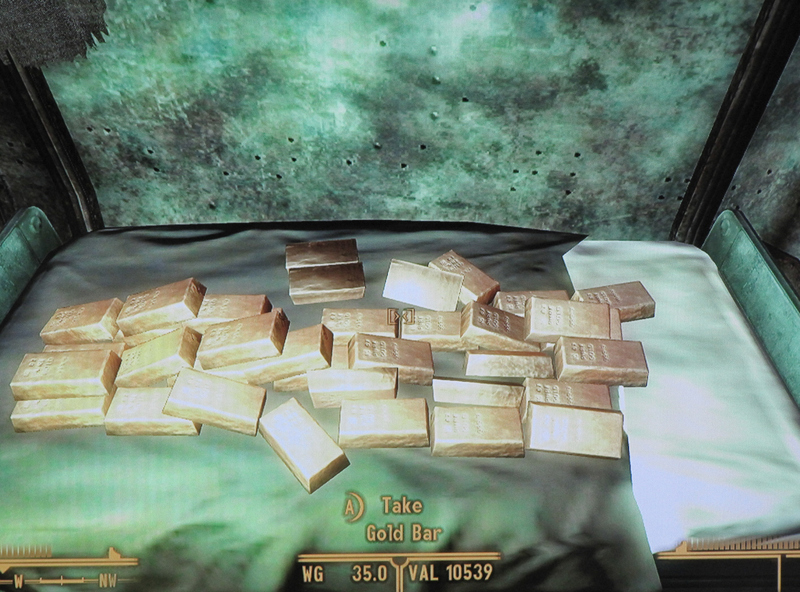 And just to prove it, here’s the prize: my 37 gold bars laid out back at the bunker.